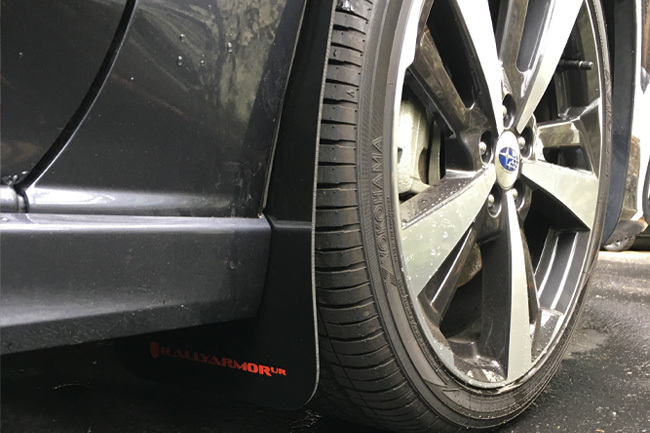 Selective and savvy Subaru Impreza drivers seeking reliable protection and premium quality materials proven out in the highly competitive world of aftermarket mud flaps rely on US-manufacturer Rally Armor. 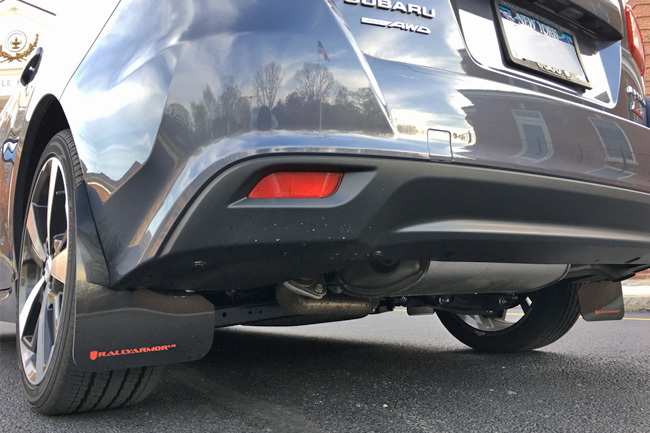 Our polyURethane construction mud flaps are rugged, substantial and so well-built that they brave rocky terrains, deflect salt spray, grit, grime and generally anything the road pummels your beloved Subaru with. 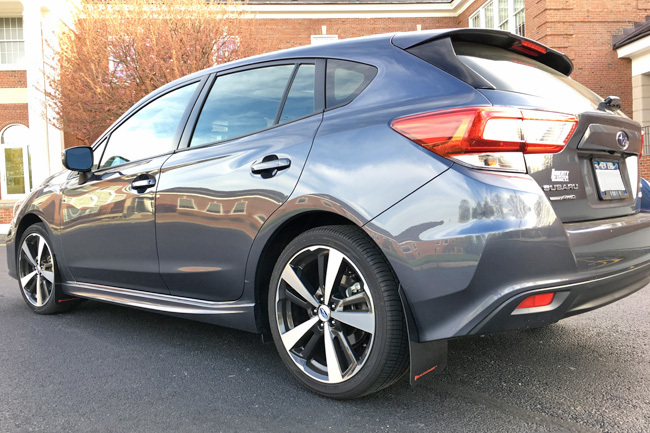 In fact, the cornerstone of Rally Armor mud flaps for 2017+ Subaru Impreza 5-door hatch and 4-door sedan is its impact resistant and enduring flexible material. A rigid, hardened plastic can crack under pressure. The major advantage to a springy plastic that confidently resists warping yet flexes when you need it to, is a peace of mind that speed bumps, uneven surfaces, pitches and grooves in the roads won’t undermine its performance nor will it degrade its form. 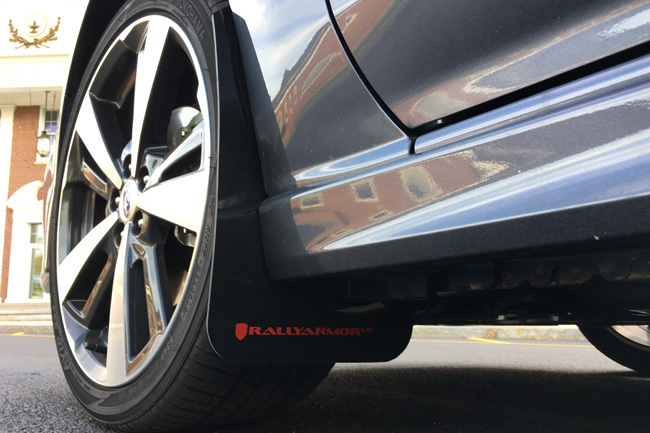 Rally Armor’s direct-fit, drill-free URs are low maintenance mud flaps that naturally resist staining and are custom formulated to ward off the kind of grime that likes to attach itself to your vehicle’s paint. 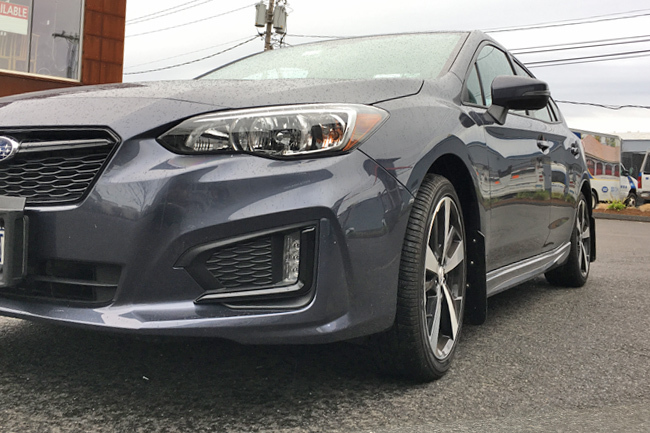 Designed for easy installation, Rally Armor custom hardware kits are rustproof and the stainless steel brackets are unique to the 2017+ Impreza. 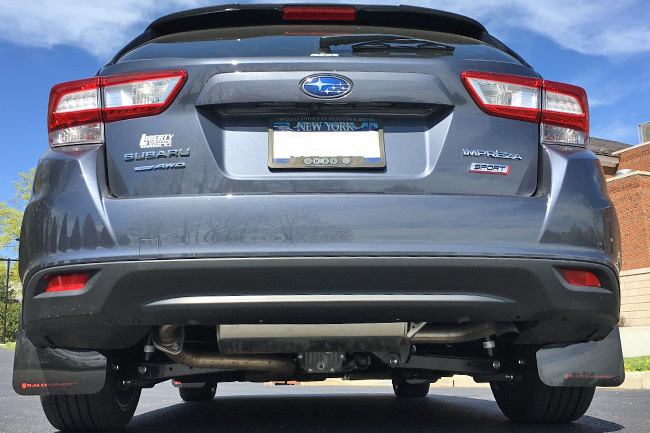 The mud flaps are engineered and tested specifically for the 2017+ Subaru Impreza. Looking for a gold-standard product that steadfastly proves its worth season after season throughout cruel winter conditions and sweltering hot summers? A formed, factory splash or mud guard providing minimal coverage is not it. Trust Rally Armor’s tried-and-true formula of quality materials, manufacturing with care and proven results on any terrain. 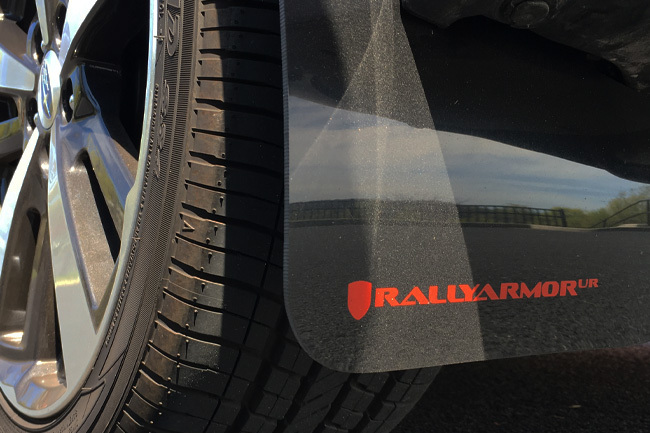 Experience the freedom of driving anywhere, through any weather armed with the best in mud flap armor. 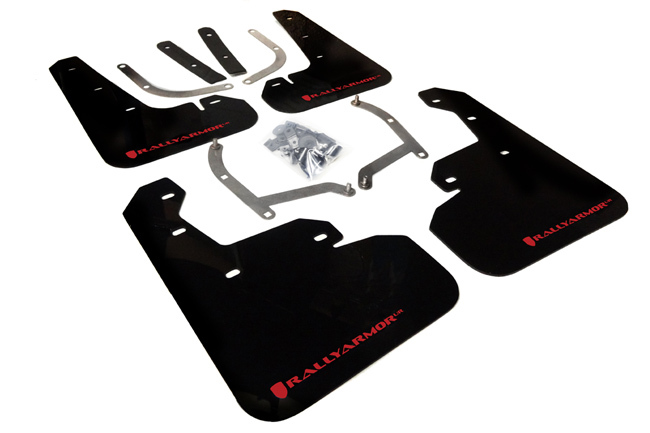 What’s included in a Rally Armor mud flap set for 2017+ Subaru Impreza hatches and sedans? 4 flaps for 4 corner protection, installation instructions and mounting hardware. Qty of 1 in the shopping cart is equal to 1 complete set. 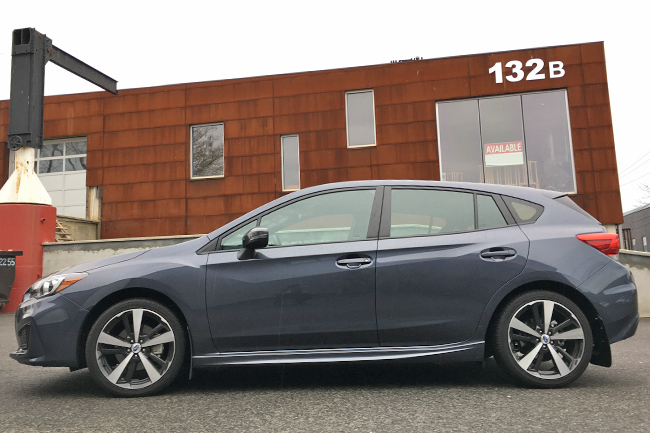 Fitment note: Fits 2017+ Subaru 4 and 5 door Imprezas.